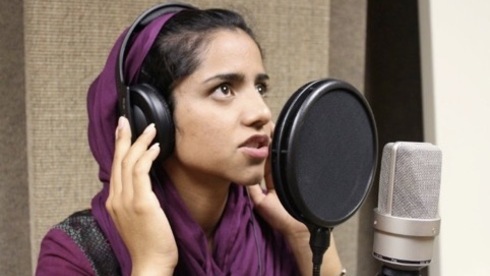 Sonita Alizadeh has travelled from Afghanistan on foot to Iran (escaping the Taliban and a forced marriage) to pursue her dream of becoming a rapper, despite the seemingly insurmountable odds against her: in both Afghanistan and Iran, it is considered ‘Haram’ (against Islamic law*) for women to sing; it is against the law for studios to record females singing (unless it is in a duet and has been state approved); and the fate she thought she’d escaped in Afghanistan, coming back to haunt her. 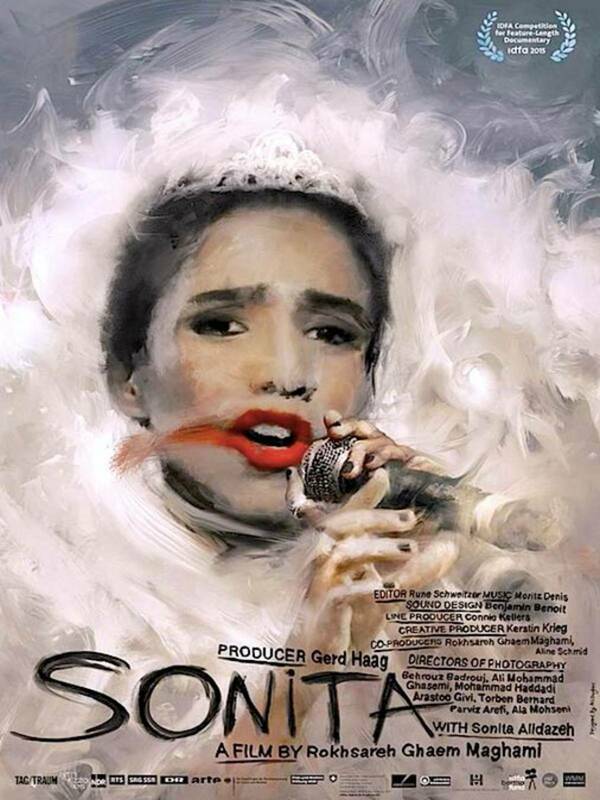 Sonita – directed by Rokhsareh Ghaem Maghami, and winner of the 2016 Sundance Film Festival Grand Jury Prize and Audience Award for World Cinema Documentary -- chronicles three years in the life of Sonita, who we meet in Terhan where she lives in a small flat (from which she, her sister and her niece face eviction), and works as a cleaner to make ends meet at the NGO that helps support and educate her. During a class at the NGO we learn: Sonita has no documentation with which to prove her identity, she would like Rihanna and Micheal Jackson to be her parents, and dreams of an American passport so she “can go anywhere” – except Iran. Girls (mostly from Afghanistan – the Afghani diaspora being the largest refugee population in the world) at the NGO arrive with black eyes from their elder brothers; they gossip about the age disparities between themselves and the man they are being forced to marry; and how much or how little they have been sold for. Sonita is like an interviewer during these discussions, as she questions friends how they feel about their situations, and then reads a rap based on their stories back to them, “I wish I could say that to my father,” one of her friends says. It quickly becomes as evident to the viewer -- as it is already evident to Sonita -- that her fate should not be to live through a forced marriage, but to report on, and sing of, the dangers and injustices of it. We watch Sonita rap Fortune Cards to a courtyard of young girls and it’s almost impossible to envisage someone with so much fire and bravery submitting to something that was not of her will. The problem, however, is that it is her brother’s will. We never meet Sonita’s brother, but know of his existence in the film after he comes round to Sonita’s house and rips up all her posters (of Persian rapper Yas and Justin Beiber) and her books, in a fit of rage. Sonita: Why is he [brother] so eager? Sonita’s sister: He needs to collect the money from your bride price so he can pay for his own bride. Sonita: Oh shame, poor guy. 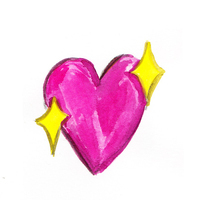 “Speak to them in their own language, what makes them tick?” Sonita’s teacher asks. Money has become increasingly intrinsic to Afghan wedding traditions. The average wedding will cost around $10,000, in a country where the gross domestic product per capita in 2015 was $623.90. The ‘bride price’, or ‘walwar’, commanding anything between $1,000 to $20,000; making the enterprise of marriage in Afghanistan, an extremely costly one. However, what the documentary only skims over; is that this is not an Islamic practice, this is an Afghani practice. 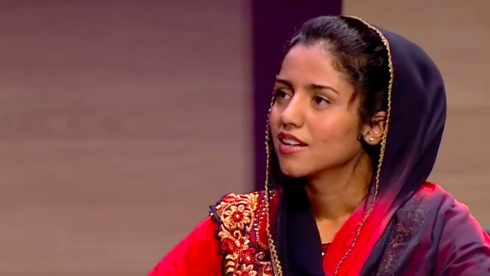 Sonita’s teacher: Every Afghan girl has a price. 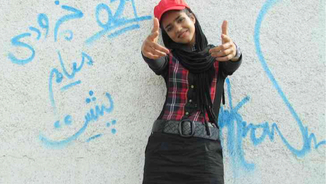 Sonita’s teacher: No, in Iran we can choose if we want to marry. Under Islamic law, as Maulawi Abdul Qahar, an imam in Balkh province, told IWPR (Institute for War and Peace Reporting): “Mahar is allowed in Islam, but not walwar.” Mahar, is a sum of money that a groom gives his bride’s father to symbolise his willingness to support his new family. Islamic law also considers the mahar to be the property of the bride to support her in the rare case of divorce, or her husband’s death. But the tradition of the mahar in Afghanistan has largely been replaced by the illegal practice of a ‘bride price’. In Afghanistan there has also been a massive disregard for the stipulation that "there should be adulthood (16 years of age for girls and 18 years for boys) of both parties” -- in Afghanistan, according to United Nations and UNICEF statistics, 57% of Afghan brides are under the age of sixteen, and the mortality rate for women dying in childbirth is 18% (very high). The U.N. Development Programme’s annual Gender Inequality Index still ranks Afghanistan as the sixth worst country for female equality in the world: only 18% of Afghan women are literate (in Iran, it’s 82%), which is why, as Sonita points out, “they think getting married is like getting a good job.” Without education and in a poor community, a girl’s best financial prospects, for herself and for her family, is often to be sold into marriage “like sheep”. In a culture where a daughter can be a family’s means of buying food for five years, where the men of the family can only afford a wife if their sisters are sold, and where a woman’s job prospects are even more limited than her access to education; the ‘bride price’ becomes a very profitable business - and a very dangerous one for any girls unwilling to submit to it. Sonita then disappears for a couple of days, and feared kidnapped, it shocks Ghaem Maghami into breaking the primary rule of documentary making: she intervenes and pays for Sonita to stay in Iran for six months. This throws up the question: what is the right thing to do? To make a documentary that is true to life? Or to potentially save someone’s life, and certainly improve the quality of it? Ghaem Maghami was initially introduced to Sonita as a favour to her cousin, who worked at an NGO supporting child labourers, to offer some advice for her music career, not to make a film about her. But it is only when she starts making a film about Sonita, Ghaem Maghami realizes her music contacts, combined with Sonita’s unshakable tenacity and prodigious talent, are what will change her destiny – and the course of the film. as a sheep grown on which others will dine. They say it’s time to “sell” me. Look at my eyes and ears, I’m a person! Ever seen a sheep complaining? 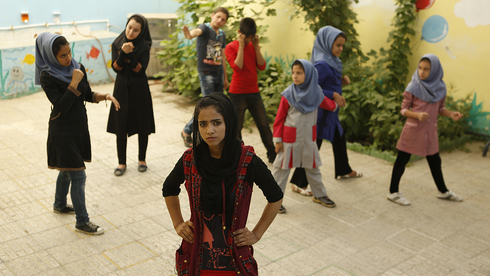 Ghaem Maghami sends Brides for Sale to an NGO in America who find a music college interested in giving Sonita a scholarship: the fairy-tale ending is in sight. But in order to get to America, Sonita must go back to Afghanistan – Herat still war-torn; besieged by suicide bombers on the ground and helicopters in the sky – where she is not only in danger of being forced to marry; but if she is unsuccessful in getting her documentation (which is a distinct possibility) she will also be unable to re-enter Iran. Fortunately, the ending is a happy one; and Sonita, true to her name, migrates to America and enrolls at the music college -- which is the best possible outcome for her. However, the way in which Sonita’s liberation has been portrayed in the film has thrown up a few questions, as the headscarf/hijab could be seen as a motif of oppression that Sonita slowly, and initially reluctantly, rids herself of on her way to America. For anyone who watches Sonita and is not au fait with the nuances of Islamic law, this film is unlikely to make them more tolerant -- Sonita does hammer home many of the problems Westerner’s already associate with Islamic culture -- partly due to reports in the media, and partly due to the ‘unconscious bias’ which Yassmin Abdel-Magied discusses in her Ted Talk, What does my headscarf mean to you? So, it would have been helpful for those uneducated in Sharia law to be made aware that the practice of a ‘bride price’ is in fact illegal (though governments in places such as Afghanistan and Pakistan have a long way to go to help improve the situation and break the cycle); it would also have been helpful to hear Sonita’s feelings about wearing, and not wearing, her headscarf; as it was clearly something important to her at the beginning. But the film was made by a woman in the midst of a particular (and horrifying) reality for the majority of women in Afghanistan, so it is understandable that Ghaem Maghami’s portrayal of marriage in this area of the world was one-dimensional. 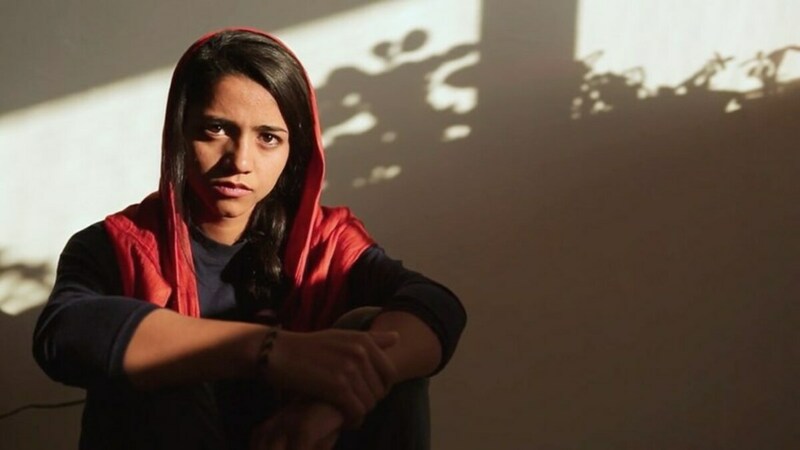 With Sonita, what Ghaem Maghami has created is not only a film, but a future for Sonita Alizadeh who, now counting her mother as “one of her biggest fans”, not only dreams of becoming a rapper to sing against child and forced marriage but also of becoming a lawyer and using the law to fight this practice as well. Though the portrayal of America as some sort of utopia might jar a little with anyone who is not an ardent Trump supporter, the unfortunate reality is: it’s a better place for girls than Afghanistan at this point in time. 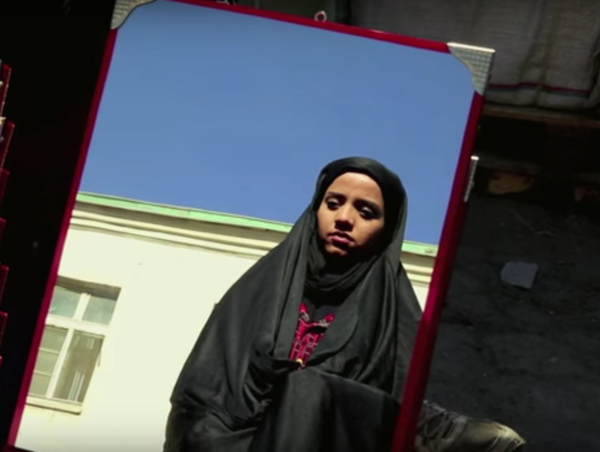 It is nowhere near perfect, but here Sonita has her most basic human right: to think and act for herself – which may be why, though not shown in the film, for the majority of her public appearances, you will still see Sonita wearing a headscarf. Sonita is is UK cinemas from 21st October. It is worth noting that there are Muslim countries where women are permitted to both sing and perform on stage – countries such as Morocco, as per the traditions of Sufism (a spiritual discipline within Islam).